Given James Cameron’s personal passion for undersea exploration in real life, it is perhaps unsurprising that the Avatar sequels will be heading underwater. This is something that promises to provide the viewers with spectacular scenes, but at the same time, it seems probable that filming these scenes has contributed much to the wait between the movies. After all, filming underwater footage for the Avatar movies makes a complicated and time-consuming process that much more so. 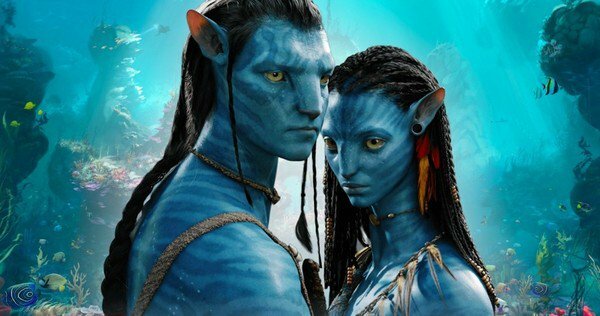 What Are Some of the Challenges of Filming the Avatar Sequels Underwater? Simply put, the Avatar movies are made using motion capture, which is reliant on the markers placed on the suits worn by the actors in each scene. Since those markers are reliant on light, this creates further problems when filming underwater compared to when filming on land. After all, the interaction between the air and the water creates a moving mirror of sorts, thus distorting the markers that are necessary for the motion capture process. This is without considering the other complications of filming underwater, which are numerous because underwater conditions are just much more hostile to humans as well as human technologies than the land. Still, the challenges of filming underwater are far from being insurmountable so long as people are willing to put in enough money, time, effort, and other valuable resources. Considering Cameron’s success with the initial Avatar as well as a slew of other hits over the course of his career, it should come as no surprise to learn that his team has made a fair amount of progress on this particular problem. In fact, Cameron has revealed that they are well into the testing process, so much so that they have actually managed to achieve their first success in this regard not so long ago. Said success was not just the result of new techniques and technologies but also extensive training on the part of the actors, who are expected to perform their scenes beneath the waves without the use of scuba diving equipment. Something that speaks volumes about Cameron’s expectations. With that said, some other interesting pieces of information have been revealed as well. For example, it has been revealed that the underwater scenes will be most common in the second and third Avatar movies. In contrast, they will still exist in the fourth and fifth Avatar movies but have a much smaller presence in them. As a result, Cameron’s stated intentions to film the second and third Avatar movies at the same time makes a great deal of sense in light of this announcement. After all, if he is going to have to do a great number of underwater scenes, it would make sense for him to get them done in one go instead of having to run through the preparations a second time for a second movie. Regardless, Avatar 2 and 3 are expected to come out in 2020 and 2021, while the fourth and fifth movies will be coming along at some time after that. As progress on these movies continue to be made, Avatar fans can count on getting more of the information that they are interested in, meaning that they should continue to pay attention to the latest in entertainment news. This how Weta Digital Created For Avatar.